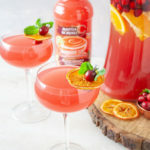 Blood Orange and Cranberry Punch is a gin cocktail made with Master of Mixes Blood Orange Margarita Mix that is a perfect Thanksgiving cocktail. 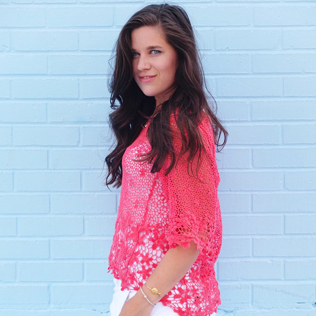 This bubbly punch has notes of cranberry, mint, and citrus for a refreshing and light sip. This post is sponsored by Master of Mixes. For more information on sponsored content please see our Site Policies for further information. This recipe is for those ages 21+. Thanksgiving, it’s always that holiday that sneaks up on me. One minute I’m passing out candy and the next I’m hurrying a cart around to get all the Thanksgiving food. With a list of things to cook, I tend to lean on my Thanksgiving cocktail to be a punch. That way I don’t have to worry about playing bartender and cook. My favorite drink to serve this time of year is this Blood Orange and Cranberry Punch. It’s a beautiful gin cocktail made with Master of Mixes Blood Orange Margarita Mix, a bottle of dry champagne, and cranberry juice. It’s tossed with frozen whole cranberries to keep the punch cold but not watered down. It’s elegant, bubbly, and so easy, you won’t mind having to refill the pitcher. It is the perfect Thanksgiving or Friendsgiving punch! This Thanksgiving punch has a few ingredients, which makes it easy to pick up most of them while shopping for your turkey. You’ll start by slicing one orange and putting in your pitcher, followed by a bag of whole cranberries, reserving a few for garnishes later, if you like. Then pour in 1-1/2 cups of gin, and I prefer something that’s got an earthy taste. It will pair like rosemary does to cranberry, though you can always substitute it for vodka if that’s what is on hand. 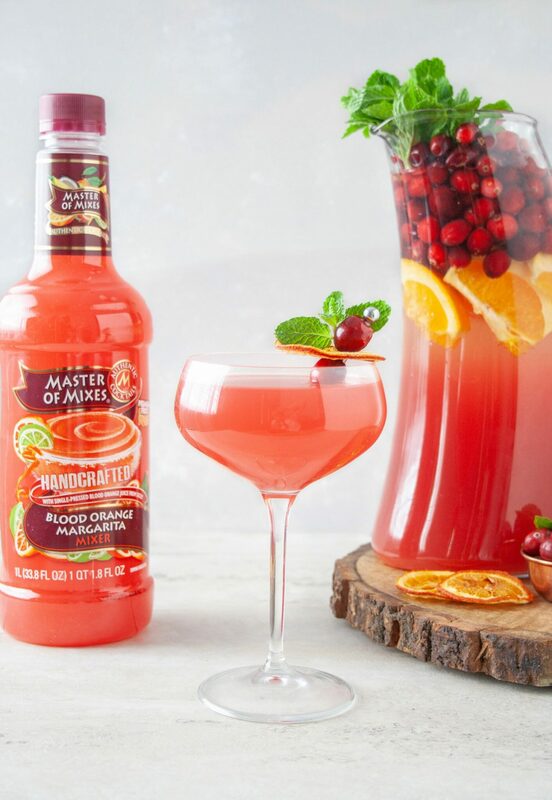 Follow this with 1-1/2 cups of cranberry juice and 2 cups of Master of Mixes Blood Orange Margarita Mix. This mix adds in layers of lime, hints of sweetness, and Italian blood orange flavor to make an elegant punch. 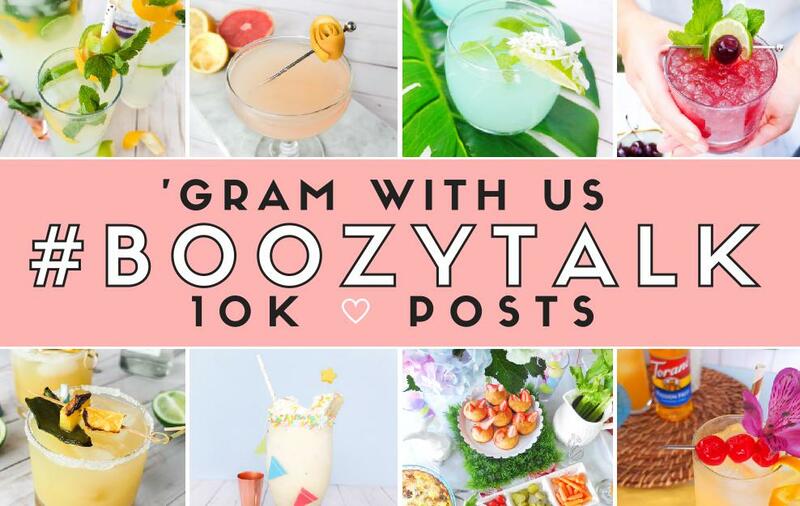 Using Master of Mixes is my hack for getting bold flavor into these big batch cocktails with minimal effort, which is key for formal entertaining! Top the rest of the punch off with a full bottle of dry champagne. Throw in a handful of fresh mint and give it a good stir to combine everything. 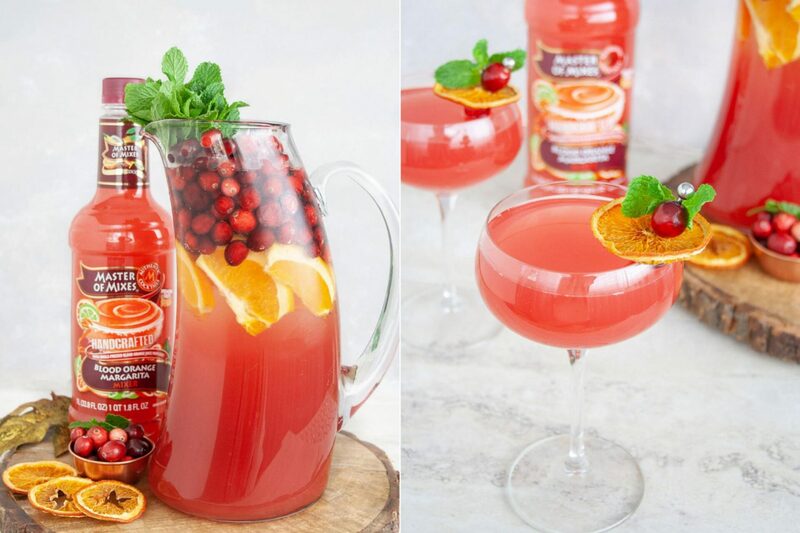 Serve in 8-10 oz glasses with leftover cranberries, mint, and optional dehydrated oranges. Read further on about how to dehydrate oranges in the oven the day before. 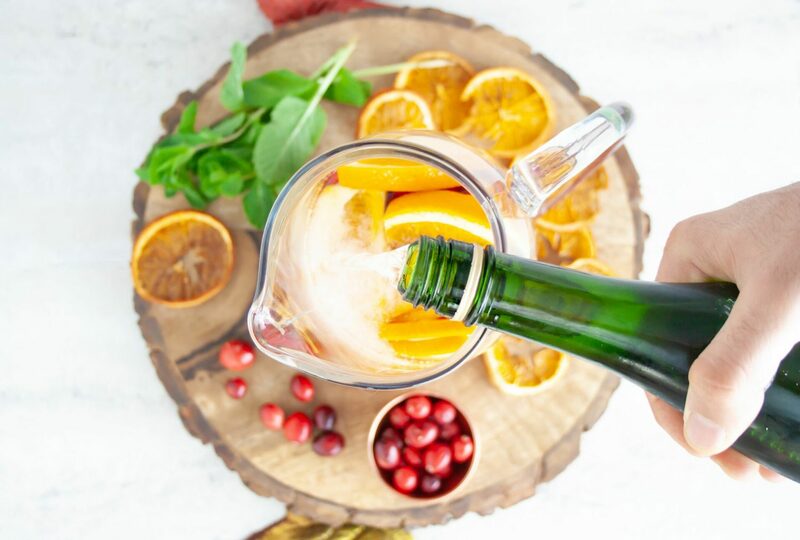 Thanksgiving punch that includes notes of blood orange, citrus, cranberry, mint, and gin. 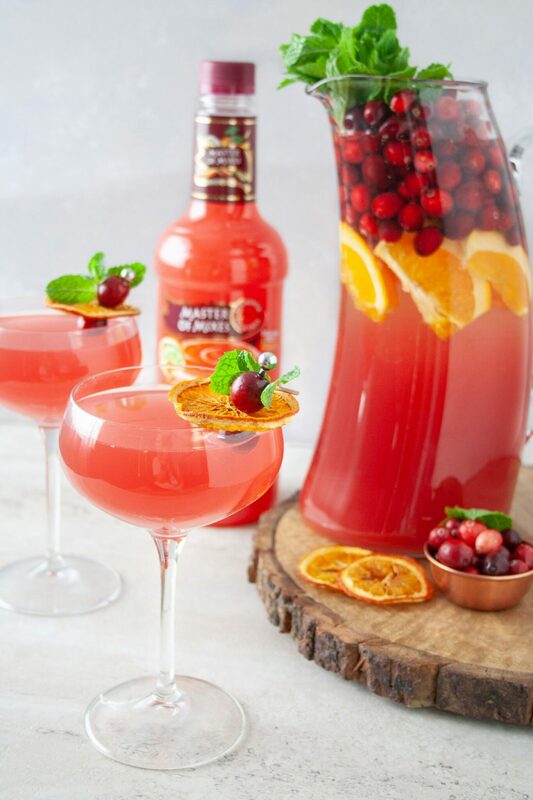 This bubbly punch is made with Master of Mixes Blood Orange Margarita Mix and is perfect for entertaining. Into a pitcher, add in fresh whole cranberries, mint, and sliced orange. Followed by pouring in Master of Mixes Blood Orange Margarita Mix, cranberry juice, dry champagne, and gin. Stir until well combined. Just before serving, layer leftover cranberries, orange slices (or dehydrated orange slices), and leftover mint on to a cocktail pick. Pour punch into 8-10 oz. glasses with or without ice and garnish with your cocktail pick. **To keep punch cold but not watered down, freeze the whole cranberries for 3 hours prior to making the punch. This garnish is optional. I just love the way it looks and gives a bit of bitterness to the drink if dropped in. It can be made ahead of time. Slice one orange into 1/4 inch slices. Remove any seeds. On a cookie sheet lined with parchment paper lay your orange rounds in a single layer. Add to the over and cook for 2-2.5 hours. Remove from oven and let cool on a cooling rack. Put in an airtight container and they will be good for 2-3 days. Easy. That’s what Thanksgiving recipes should be about: simple, delicious recipes that need no fuss but encourage gathering. Which, if this punch is served, you’ll have people crowded around your bar cart all night long. 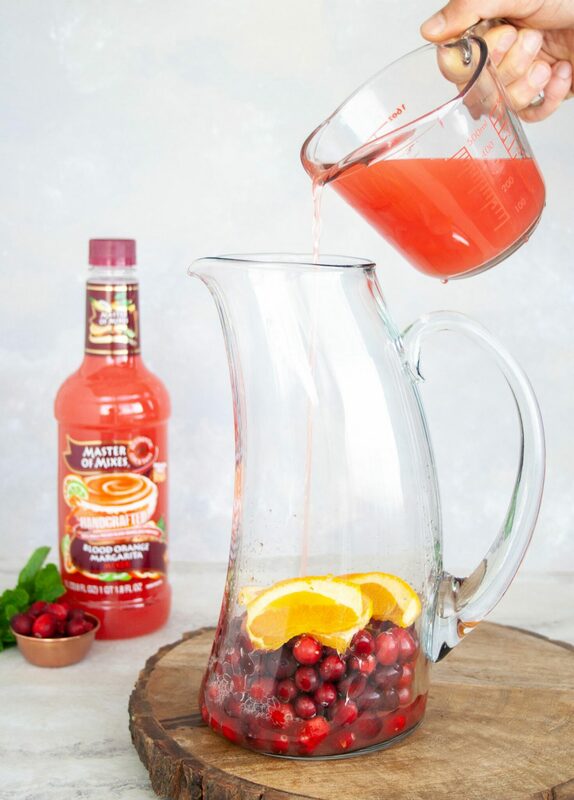 I hope you give this Blood Orange and Cranberry Punch a try this entertaining season. I also hope you have a fantastic Thanksgiving. If you host a Friendsgiving, I hope you enjoy your time well spent with the friends you care about. Down below, tell me what your go-to dish is to bring to a potluck like Friendsgiving. No surprise, I’m ALWAYS in charge of the cocktails! Check out MixologyPro.com, for more resources on at home bartending and cocktail making.